~ Last weekend in February. 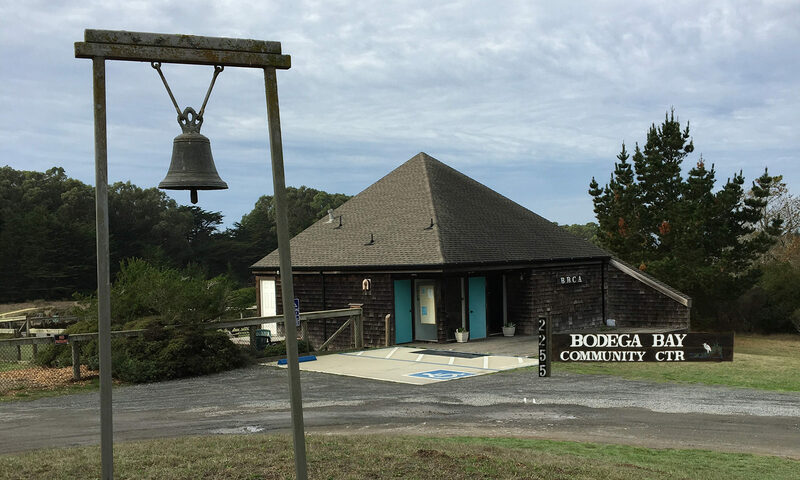 The Cabaret is an evening of hilarious lip sync entertainment produced and directed by Michael & Diana Bundy, the current stewards of the Bodega Bay Community Center. 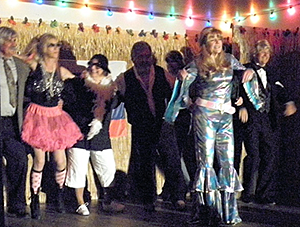 The Cabaret is enthusiastically enjoyed by the entire community which participates by being cast, crew or appreciative audience. 100% of the proceeds are donated to local organizations. ~ 3rd weekend in September. Our Car Show returns each year on the 3rd weekend in September with lots of vintage cars, trucks and even some cool vintage RVs. Already there are car enthusiasts lining up for future shows. 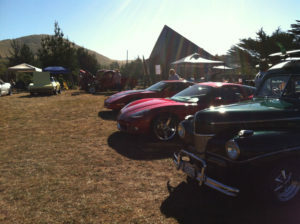 Any vintage ride considered “Beachy” is welcome with People’s Choice awards given. Live Music, BBQ, Tiki Bar…it’s all here. The Star Gazing Party goes on usually in the Fall and Spring. The professionals bring out their very large telescopes, amateurs bring their small ones and everyone gets a chance to look at the heavens…for real or a video as we found out during the second annual Star Gazing Party when the fog rolled in just as we were about to start. Although we couldn’t see the stars there was a great video presentation followed by talks on how to begin star gazing, explanations of the billions of years involved in what we are seeing up there, the untold number of galaxies and the mythology of what we are seeing. Dates and Times of the event are posted a few weeks before so keep checking to see when we’ll be having it again. So what is yoga anyway? It is an excellent form of exercise, but it has countless other advantages. It calms your nerves, quiets your mind, decreases anxiety, heightens immunity, awakens consciousness, and allows us to connect and unite with all the levels of our being – physically, mentally, energetically, emotionally, and spiritually. This class blends gentle movement accompanied by focused rhythmic breathing which can help you find comfort and ease in your body and mind. 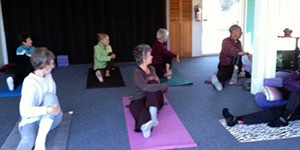 You are cordially invited to join our ongoing Gentle Yoga class on Monday, Wednesday and Friday mornings from 9:00 to 10:15 at the Community Center. Cost is $11 per class. For more information contact the instructor, Vicki Dufton at vickid@sonic.net. Join our yoga community on Saturday mornings from 9-10:15 and start the weekend with some rejuvenating yoga! We begin with a short mindfulness practice, move into warmups and stretching to invite the body to release stress and find ease in our movements. Anne tailors classes to meet the needs of the students, regardless of their level of yoga experience or physical ability. Props are available to provide comfort and support in poses. We end the class with several minutes of rest, allowing the entire body and mind to experience the benefits of the practice. Students have commented that this is the perfect way to start their weekend. 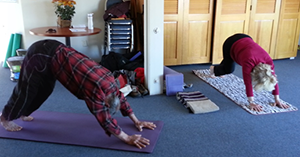 They love the clear guidance Anne gives, the way the poses flow easily from one to the other, and the feeling of practicing in a safe and non-threatening group. Students of all levels are welcome! Classes are $11 to drop in or you may purchase 8 classes for $80, or 16 classes for $150. For more information, please contact Anne Oliver at healingyoga.anne@gmail.com.